SVT: What I call The Cartridge Trick. Something I stumbled across a dozen, or so, years ago while working on my first two SVT-40s. It is obviously a design feature, but it is not mentioned in the Soviet manual and I have never seen it documented anywhere. It sure is a thumb-saver. Re: SVT: What I call The Cartridge Trick. Oh yes! 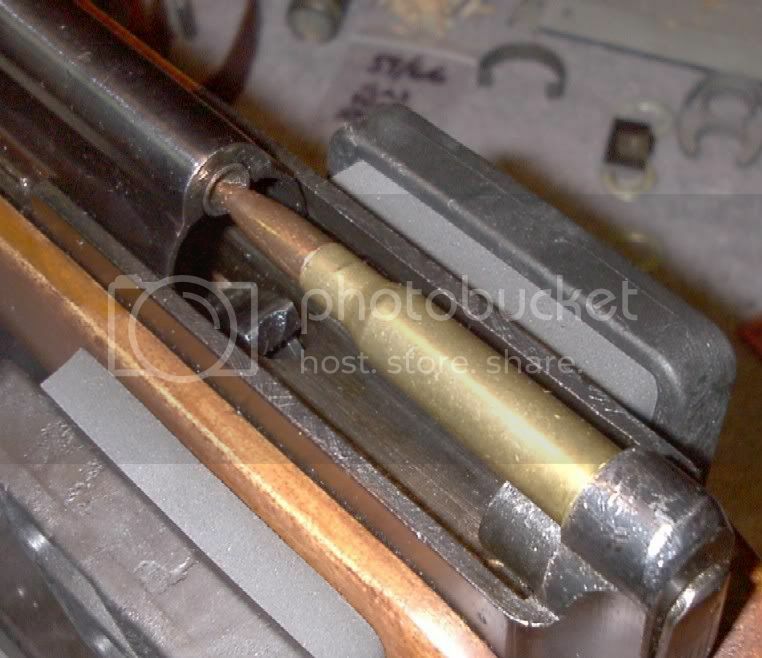 That is the one trick you really have to have in your bag with an SVT-40. When your hands are greasy from cleaning it, you really don't want to wrestle with it. There are more tricks than that! Absolutely ... but discovering that one really made my thumb happy.